During the first two weeks of December, the eyes of the world will be on Lima, Peru, in order to follow the COP20, an event of utmost importance in terms of negotiation in order to advance to a new climate change protocol in Paris next year. 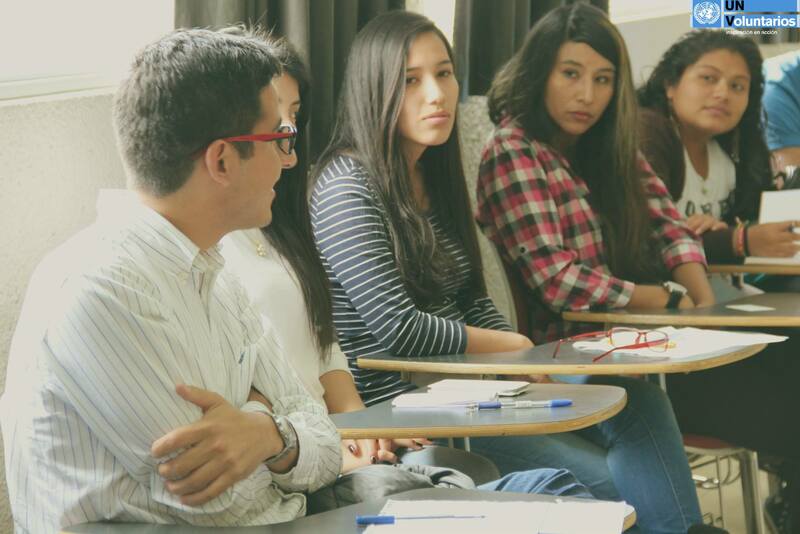 A team of 10 national UN Volunteers has trained more than 1,200 youth volunteers who will be active during the event, especially in the Voices for Climate fair, in which Peru, as host country for COP20, will welcome domestic and foreign visitors. Voices for Climate fair, in which Peru, as host country for COP20, will welcome domestic and foreign visitors. Around 15,000 participants are expected, as well as Ban Ki-moon and Helen Clark, many world leaders, and Leonardo Di Caprio as Messenger of Peace on Climate Change. The United Nations Volunteers (UNV) programme has invested in the volunteer programme of COP20 and has led this programme in collaboration with the Peru Ministry of the Environment. The youth volunteers have been trained in human development, volunteerism, climate change and the post-2015 Agenda and are also involved in the Play Your Part campaign and the COY10 (COP for youth). The UNV team is also responsible for the whole volunteer management process  human resources and logistics throughout COP20. The UNV Peru Field Unit is especially active in the UNV branding process before, during and after the event. Over the next two weeks, the UNV Peru Field Unit will daily post notes, pictures and videos on Facebook at https://www.facebook.com/UNVPERU?fref=nf. Various audiovisual interns will be involved in filming the whole process, which will be used in the branding campaign, but also for the systematization of the COP20 volunteer programme. * The United Nations Framework Convention on Climate Change (UNFCCC) entered into force in 1994, aimed at reducing greenhouse gas concentrations in the atmosphere. The Conference of the Parties (COP) was designated as the supreme governing body of the Convention. To date, 195 countries have submitted their instruments of ratification. These countries meet once a year, during two weeks, in order to evaluate the application of the Convention and develop the negotiation process between the Parties in front of new commitments.